The discoverers of La Colosa were far from grasping all the consequences of such finding. La Colosa gold deposit, in Tolima district, to the west of Bogota, is the seventh largest undeveloped gold project worldwide, great news for Colombian gold mining industry and government as well. As it could be expected, several gold mining companies competed for the exploitation of such deposit containing copper and gold, and finally the project found an owner - AngloGold Ashanti the world's third largest gold producer, headquartered in Johannesburg with other gold mining operations in 10 countries. The project covers an area of 600km². Its exploration started in 2007 but the deadline to start mining is set for 2019, with an estimated investment of up to $4 billion. Nonetheless, it is expected to extract 28 million of ounces of gold. On the one hand, besides the benefits for the gold mining company, the project contemplates the creation of nearly 1,000 job positions, mainly of the locals of nearby towns, boosting the economy of the area. On the other hand, the project grapples with several environmental challenges, and AngloGold proposed the use of chemicals for gold extraction as most likely it will be an open mine. The protests were not long in coming for its danger in local agriculture and population. This will put to the test the South African company's principles of major commitment to the environment. The benefits of gold are not limited to the improvement of the overall economy, but also the individual one. 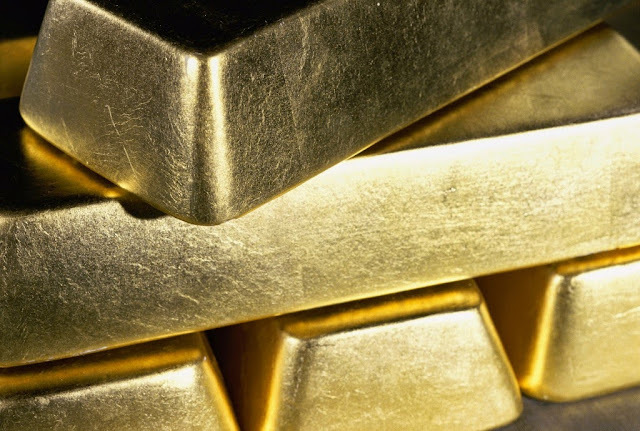 The clients of Emgoldex are aware of this fact and buy investment gold bars of the highest quality in its online store, with which they create their own gold reserves under the most profitable conditions. Share the latests news in your social networks and let everybody know the best opportunity to buy gold!